Did Barack Obama Just Win Florida for the 2016 Democratic Nominee? The two countries have resumed a dialogue after fifty years. The United States will restore full diplomatic relations with Cuba and open an embassy in Havana for the first time in more than a half-century after the release of an American contractor [Alan Gross] held in prison for five years, American officials said Wednesday. In a deal negotiated during 18 months of secret talks hosted largely by Canada and encouraged by Pope Francis, who hosted a final meeting at the Vatican, President Obama and President Raúl Castro of Cuba agreed in a telephone call to put aside decades of hostility to find a new relationship between the United States and the island nation just 90 minutes off the American coast. 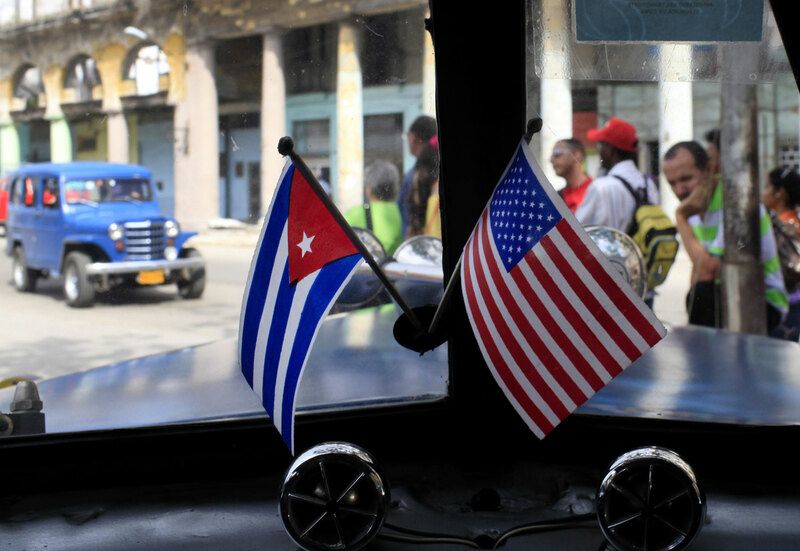 In addition, the United States will ease restrictions on remittances, travel and banking relations, and Cuba will release 53 Cuban prisoners identified as political prisoners by the United States government. There’s a lot at stake in this policy turn-around, including for broader US-Latin American relations. But out of all of Obama’s post-midterm initiatives, this one is pretty deft: It nicely boxes potential Republican presidential nominees into a corner, especially pulling the rug right out from under Jeb Bush, just as he was basking in his “I-may-be-running-after-all” tease. Bush sounded completely flatfooted and off-guard this morning: “I don’t think we should be negotiating with a repressive regime.” He did grudgingly say he was “happy for Gross’s return.” Polls will tell, but Bush—along with Marco Rubio and any other potential nominee—is going to have to come up with a better soundbite. Even if this doesn’t play well in Florida, which I think it will, Obama, with this move, has just finally nationalized the Cuba question. Who could possibly advocate (except these guys) going back to the way things were? That is, it will no longer be enough to pander to a small margin of extreme-right-wing Cubans in Florida on the issue. That will be particularly difficult for Jeb Bush, because of his family’s deep ties to Cuban anti-communists, going back to his father’s days as CIA director.